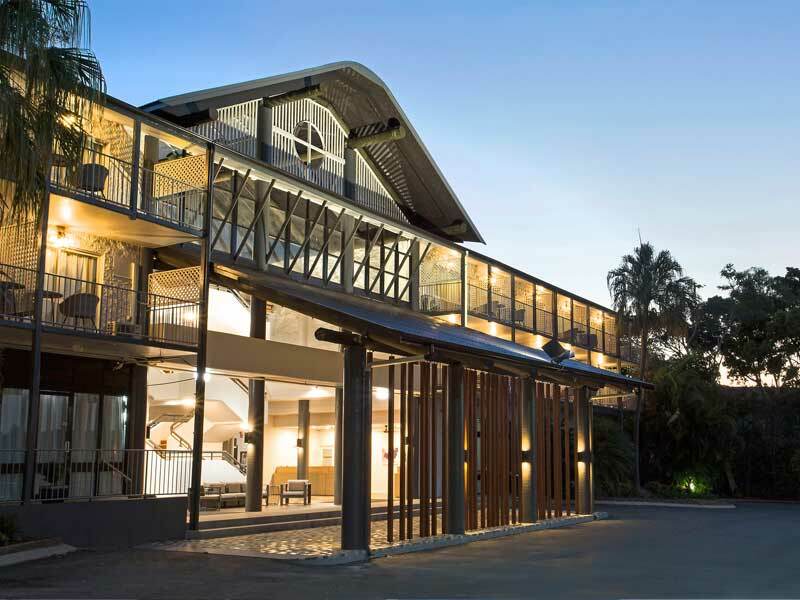 Be the first to know about the latest Queensland package offers! Sign up now to get updates and My Queensland specials. 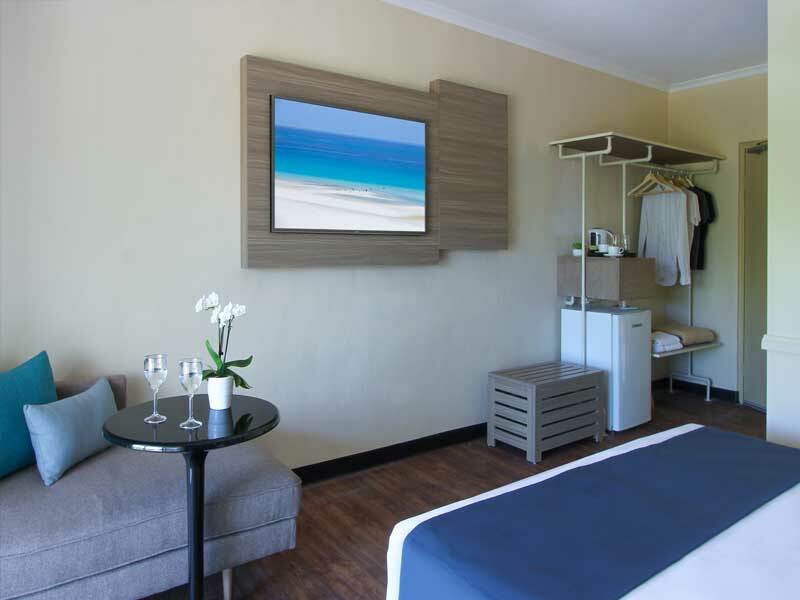 Be spoilt by nature in your Coastal View Room. 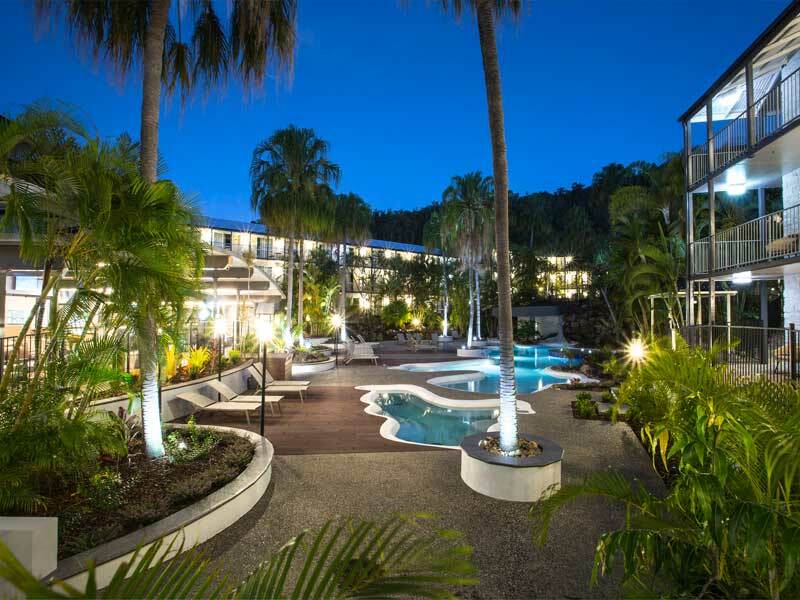 These rooms offer stunning glimpses toward the Airlie Beach’s coastline from their private, furnished balcony. 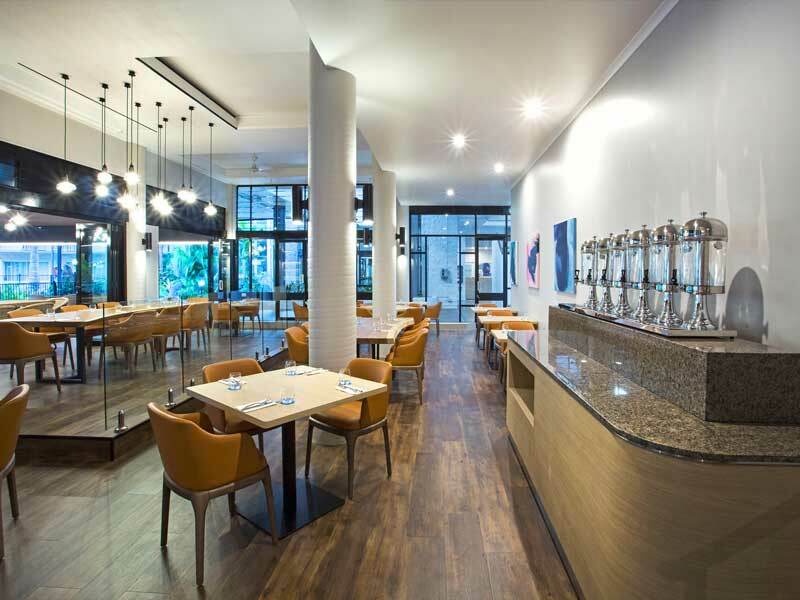 Features include air-conditioning, a 50” LCD TV with 20 Foxtel channels, coffee and tea making facilities, a bar fridge and more! Complimentary room upgrade is included. Avoid the stress of arranging your own travel and let us do it for you! With return flights to Prosperpine including 20kg of checked luggage per person, when you travel with My QLD, the only thing you need to do is grab some clothes and enjoy your holiday! 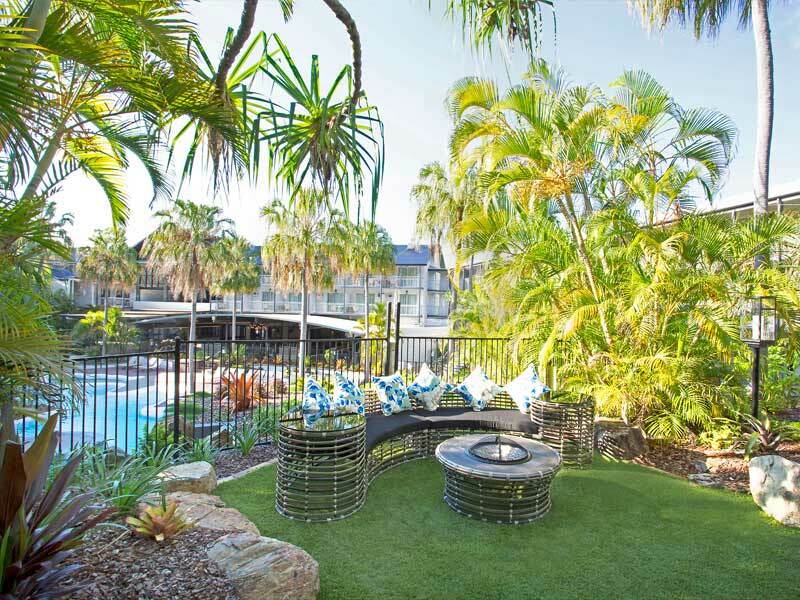 Spend more time enjoying the beauty of Queensland and less worrying about organising a taxi at the airport! 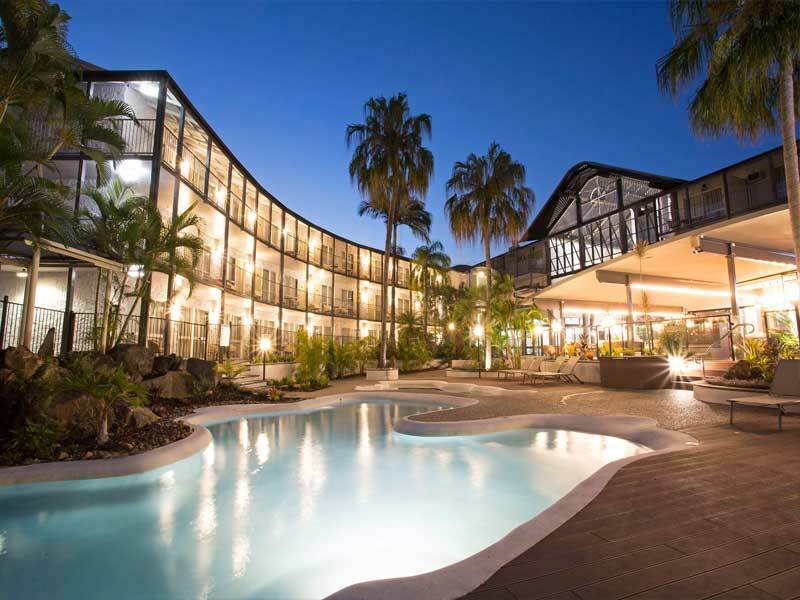 With My QLD, avoid that hassle with our airport transfers to and from your accommodation! 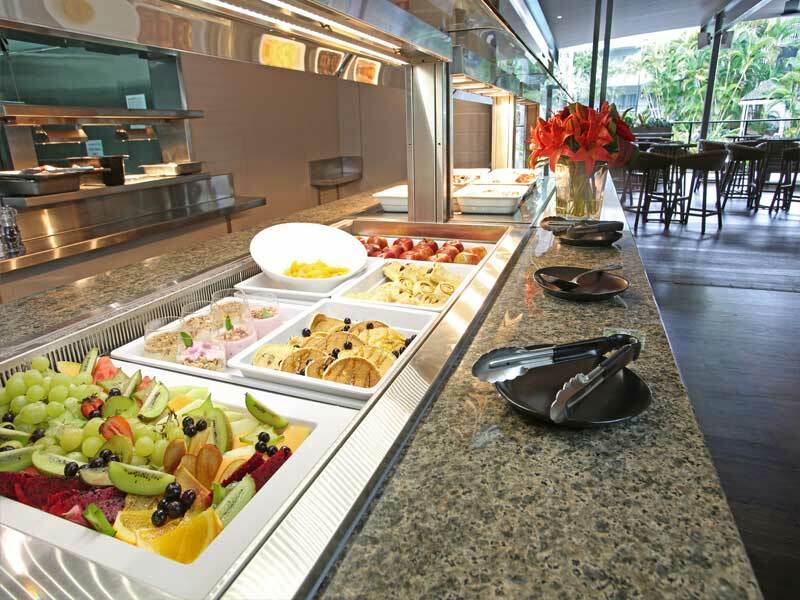 Enjoy a complimentary buffet breakfast each morning! Start your day with a delicious meal consisting of locally sourced foods that will provide you with the fuel you need for a day full of activities and relaxing! For travel dates & surcharge information, please see the Travel Dates tab. Half Day Great Barrier Reef Snorkel~: Explore the beautiful Great Barrier Reef on a custom designed 23m vessel. Enjoy one snorkelling session on the inner Great Barrier Reef with all equipment and a morning or afternoon tea included! Thundercat Full Day Adventure~* (Adult Only): Enjoy a speedboat ride on the “Thundercat”, which boasts 600 horse power and is one of the fastest ways to get around the Whitsunday Islands. With this full day tour you can enjoy a swim in the beautiful Whitsunday waters, and/or the guided walk to Hill Inlet! Whitehaven Beach High Speed Jetboat Adventure**: Travel with maximum speed and maximum comfort to snorkel on beautiful Island Coral Reef. With this tour you will get to explore the Magnificent Whitehaven Beach and the sands and lookout of Hill Inlet. Whitehaven Beach Northern Exposure Tour***: Enjoy breathtaking views of Pentecost Island as you walk to the Southern Whitehaven lookout, afterwards joining a guided walk to the stunning Hill Inlet Lookout. Then you will snorkel for over an hour at Border Island, Dumbel Island or another “secret” snorkel spot before relaxing on the world famous white silica sand! We all get a little thirsty while laying out under the sun, right? Thankfully, this exclusive package includes a refreshing drink every day! Choose between a beer, wine, house spirit, soft drink or juice to keep you cool & hydrated after a long morning of relaxing! Check in and forget about everything else! The housekeeping team at Mantra Club Croc will pay a mid-stay visit to service your room after the second day. Stay a little longer! There’s nothing worse than that mad rush that too often marks the end of an otherwise relaxing holiday. Take your time when you travel with My QLD Holiday! Enjoy a late check-out of 12pm, make the most of one last lazy breakfast, take a dip in the pool and pack all of your things, stress-free! Surcharges & block out dates may apply during peak travel periods. 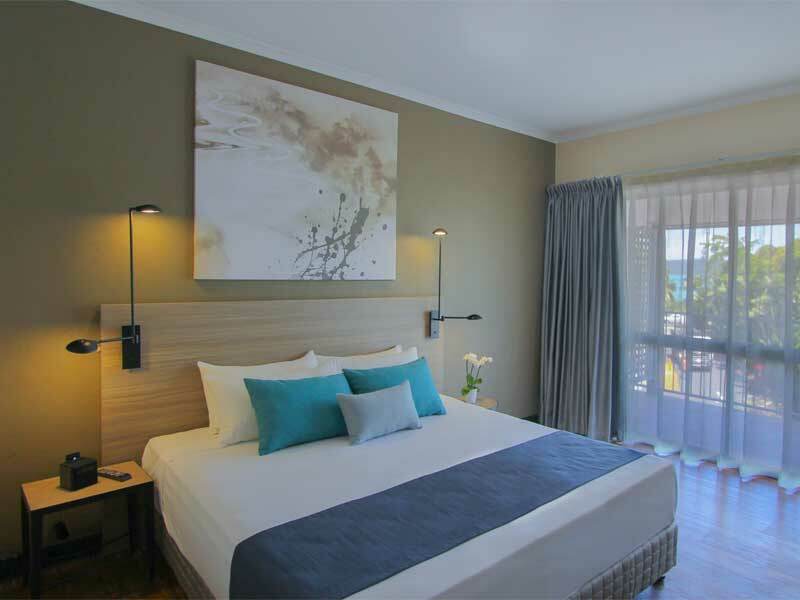 Be spoilt by nature in your Coastal View Room. 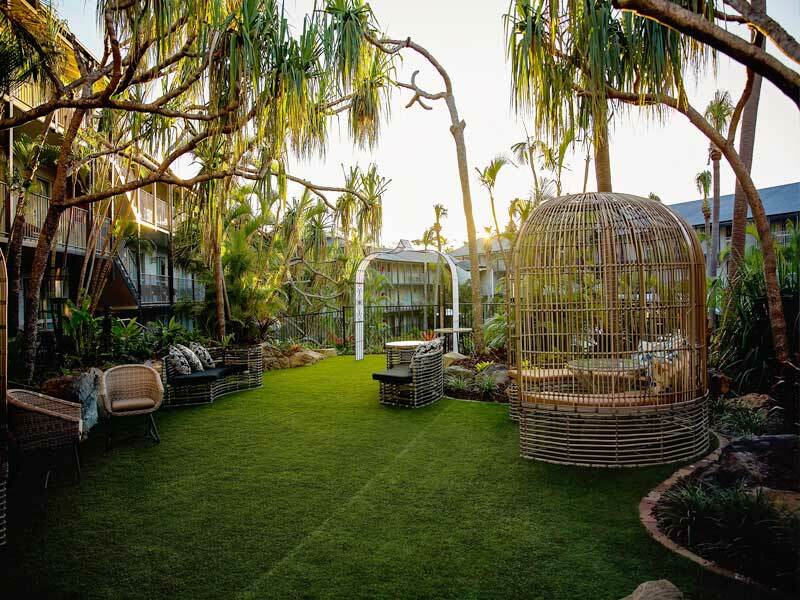 Set on the 2nd and 3rd floors of the hotel, these rooms offer stunning glimpses toward the Airlie Beach’s coastline from their private, furnished balcony. 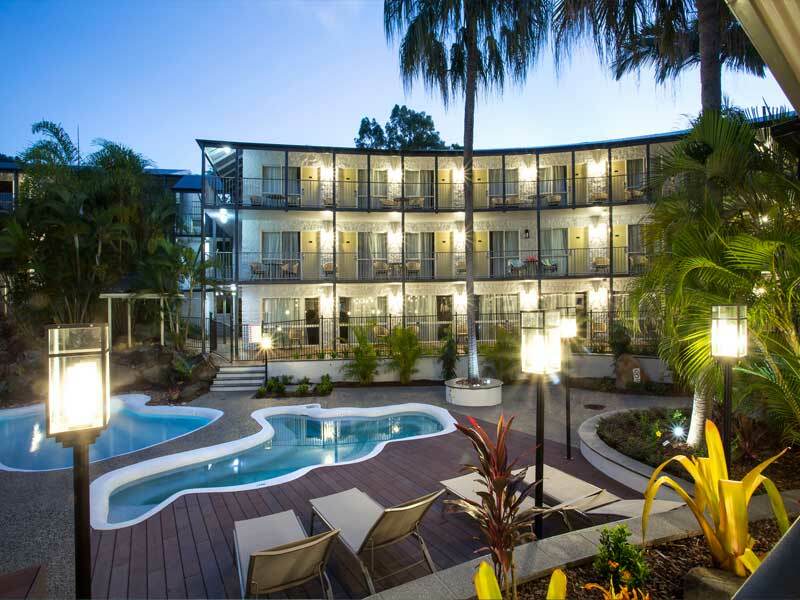 Features include air-conditioning, a 50” LCD TV with 20 Foxtel channels, in-room WiFi (fees apply), coffee and tea making facilities, a bar fridge and more! With plush King or Twin bedding, fresh interior styling and contemporary furnishings, you’ll be calm and relaxed in no time! These rooms can accommodate up to 2 guests. 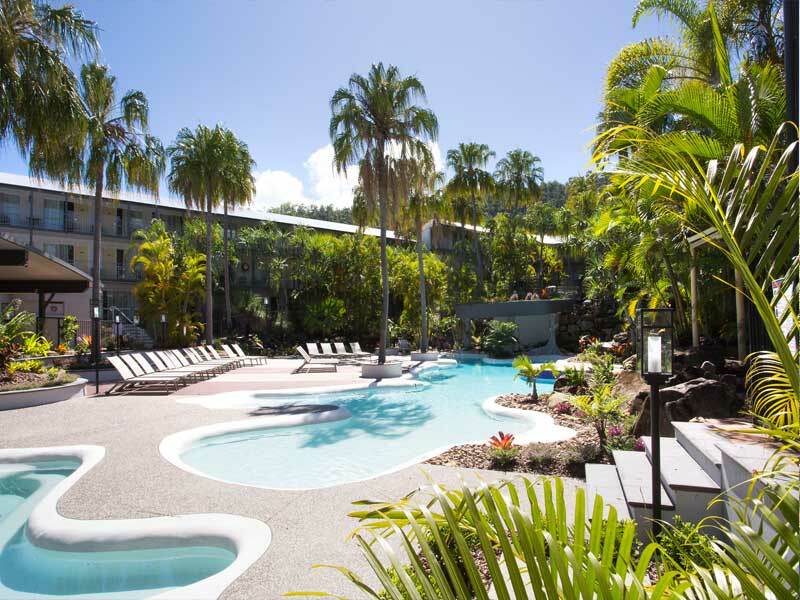 If you are looking for a luxury resort just minutes from the ocean, the lively Airlie Beach town centre, and the world-renowned Whitsunday Islands, look no further. Mantra Club Croc not only boasts a great location, but a tropical lagoon pool, poolside dining and fantastic service as well. Read more about Mantra Club Croc here! Please Note: Some resort facilities may incur additional charges. Valid for new bookings only. Prices are correct at time of publication and are subject to change, cancellation or withdrawal without notice. Accommodation is subject to availability. Insurance is not included and is strongly recommended. All prices are in Australian Dollars per person twin share unless stated otherwise. Charges may apply for changes or cancellations to your holiday. ^Airfares are based on the best available airfare at time of publication including 20kg carry on baggage allowance per person and are subject to change. Flights may not be direct or operate daily. Subject to promotional fare availability. Air surcharges apply during Australian school holidays. Tickets are non refundable at all times.